Docleaf Leadership has the privilege of working with chief executives and their leadership teams. Sometimes, business performance is impaired by an individual’s difficulties with relationships, alcohol, gambling or other addictive/compulsive behaviours. “These behaviours are often kept secret ” says Dr David Perl, “and accompanied by huge levels of shame. There is also the unspoken fear of job loss, should an executive come forward and choose to address his or her difficulty. 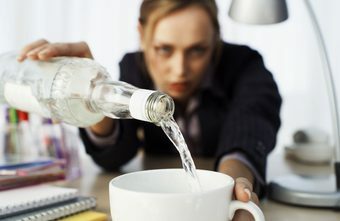 ” Companies have been reluctant to be proactive in this area: “To publicise the option of help has been seen, historically, as an admission that alcoholism is rife,” says Dr Perl. “And yet research carried out as far back as 2011 suggests that 15-24% of U.K. professionals will struggle with problem drinking during their career.” He continues: “the same research highlights that 96% of professionals with addictions function “reasonably well”. Perl admits that this is part of the problem. CEOs and their senior teams will generally function quite well, or seemingly quite well, for a significant length of time. “The paradoxical thing is that true effectiveness is impaired,” says Perl. “Judgement, which is an essential quality in any business leader, becomes markedly different even with a moderate amount of alcohol”. How does a leadership programme such as docleaf’s work with such complicated and yet unspoken patterns of behaviour? Should a leadership development programme stray into the more personal areas of a professional person’s life? Dr Perl is adamant that the best leadership programmes take a holistic approach. Blocks to professional and personal growth are worked with, with discretion and sensitivity. “Compulsive behaviours affect professional performance and personal relationships. Our leadership programmes help individuals overcome difficulties in all areas of their lives.” Docleaf Leadership differs from other consultancies in so far as Dr Perl and his own team of senior consultants are qualified psychotherapists, as well as qualified leadership development and business coaches. “I firmly believe that today’s business leaders and their teams need high level coaches who bring a wide range of industry experience but also have a professional psychological training,” says Dr Perl.